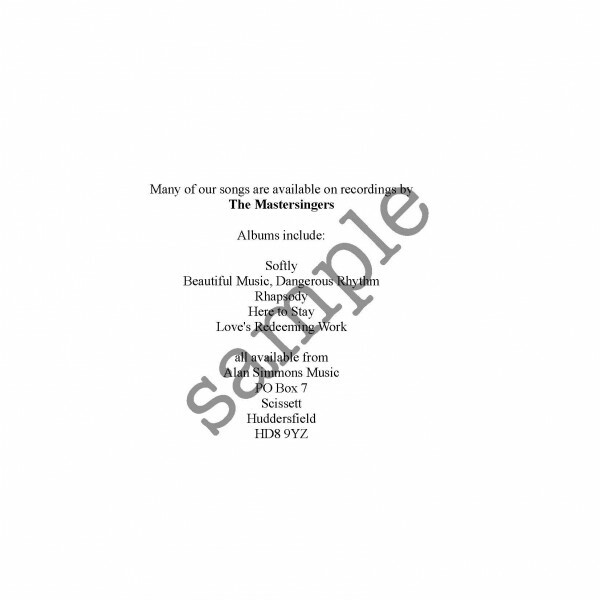 Originally composed by Bert Kaempfert for Frank Sinatra. 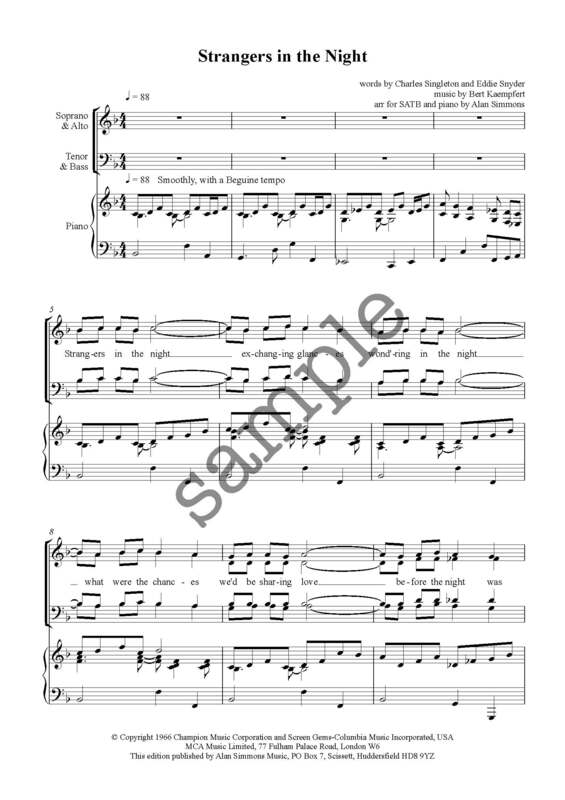 It was written in New York at the request of a mutual friend who wanted to introduce the two. The song was originally titled “Broken Guitar”. 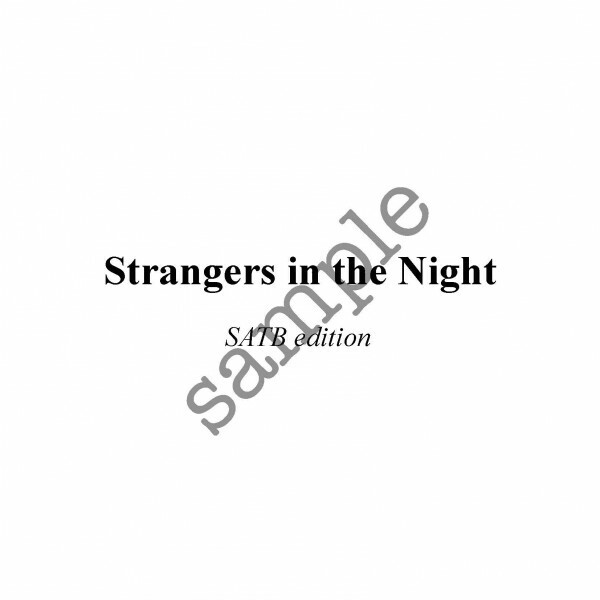 Sinatra did not like the lyrics, so they were rewritten and the song was renamed and became known as “Strangers in the Night”. 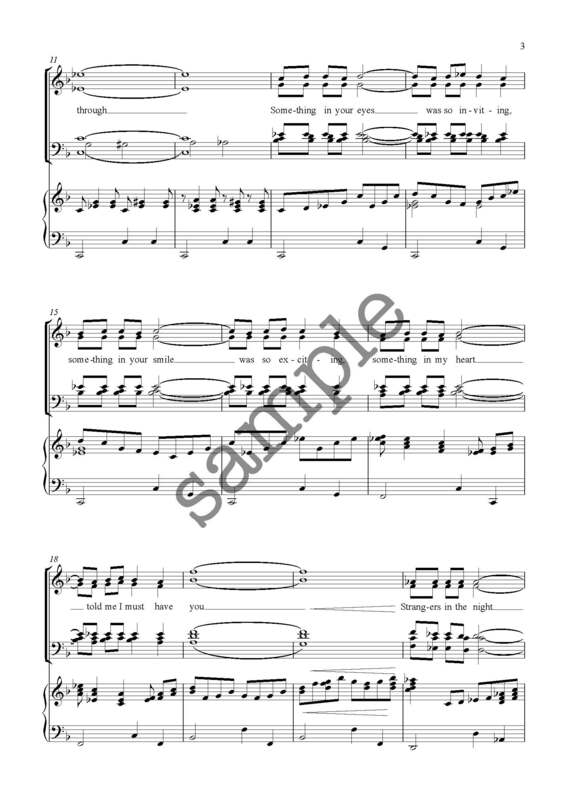 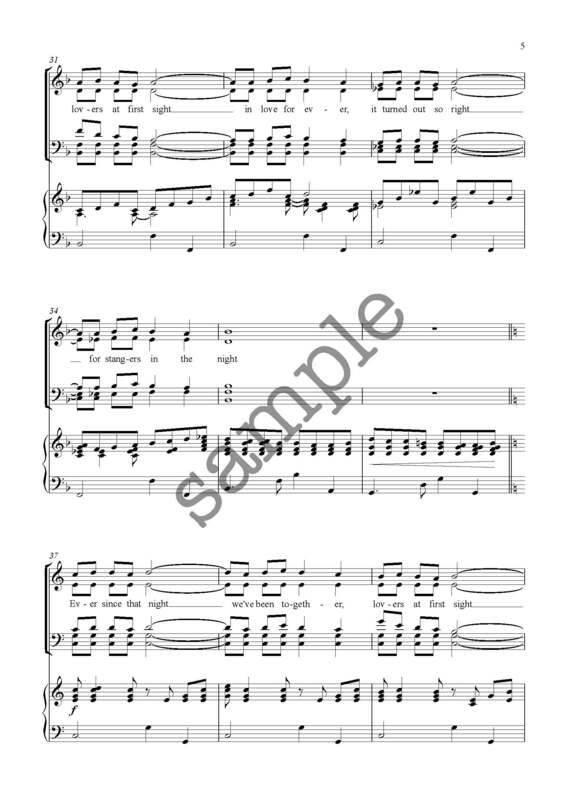 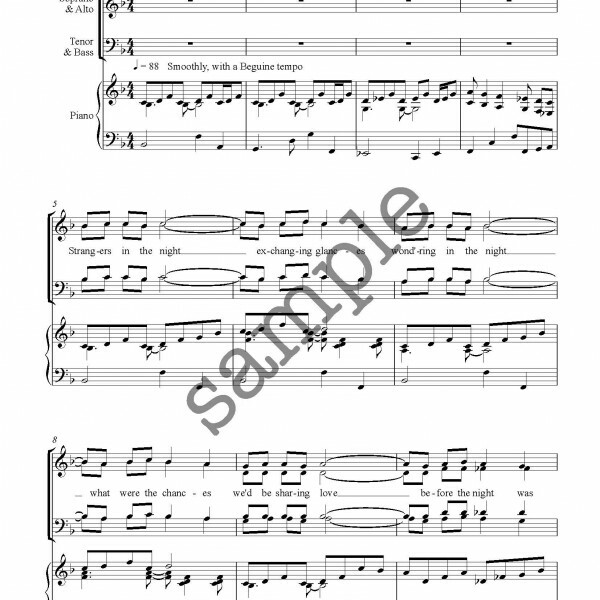 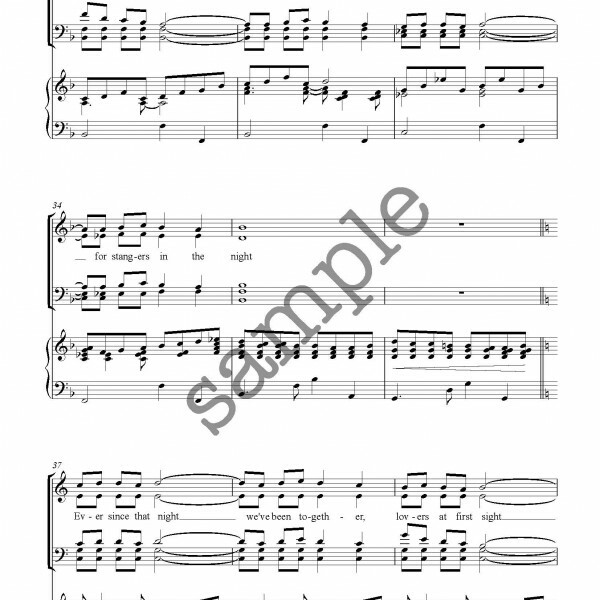 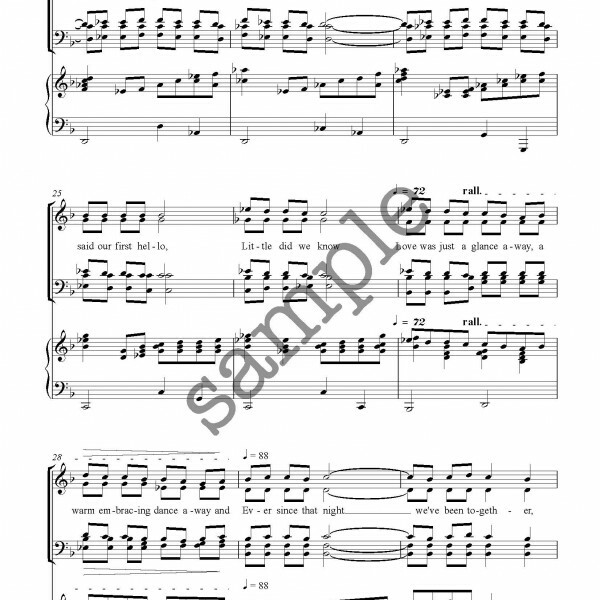 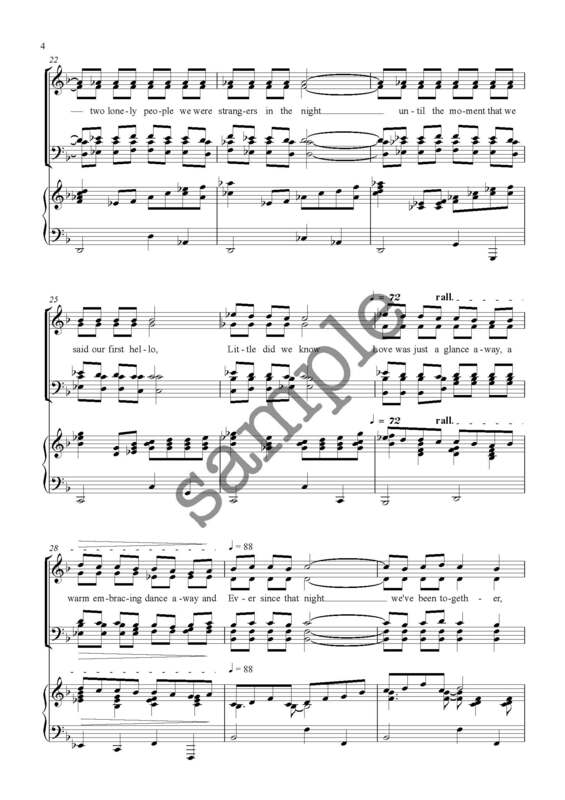 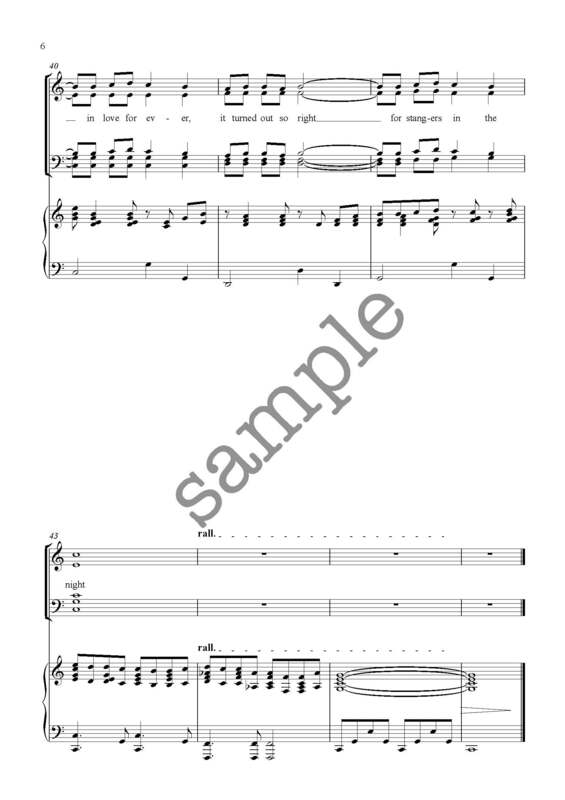 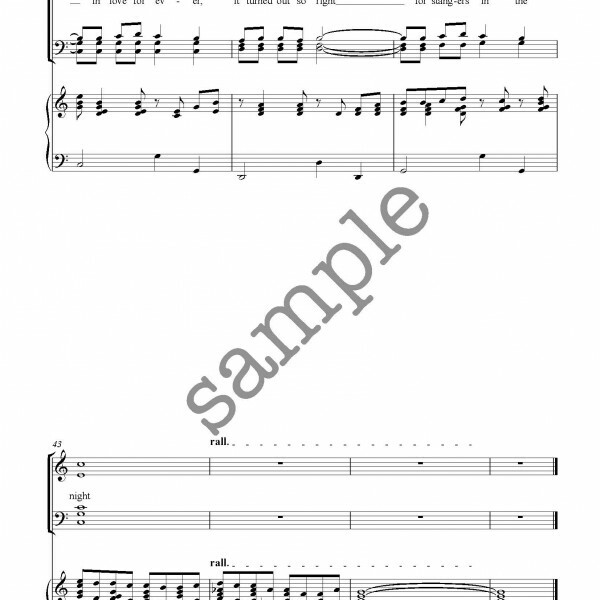 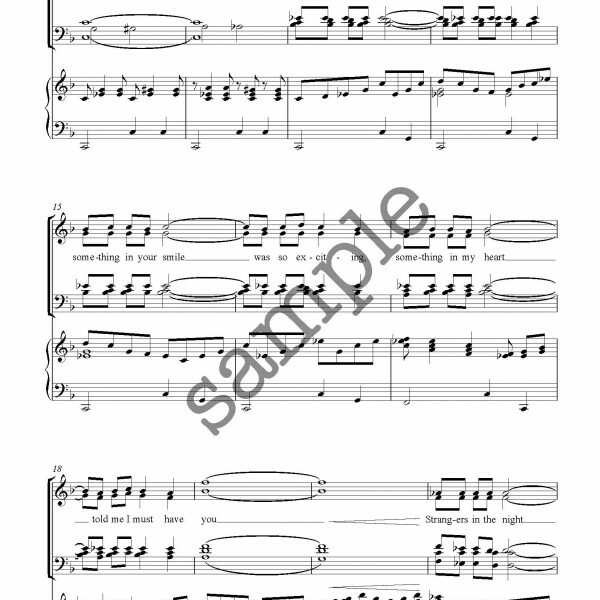 It particularly works as a choral arrangement, with it’s beguine tempo and the ability to split into several parts to offer a real depth of sound.